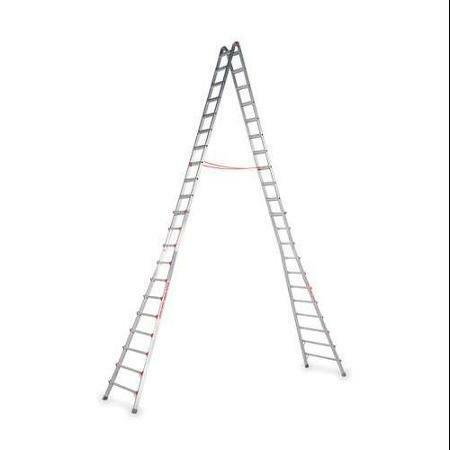 Each side adjusted individually so this ladder can be used on a slope or staircase. Will hold up to 300lbs. * Please call us with any questions about our 17 foot extendable step ladder rentals in Corning and Bath, serving the Finger Lakes Region of New York.